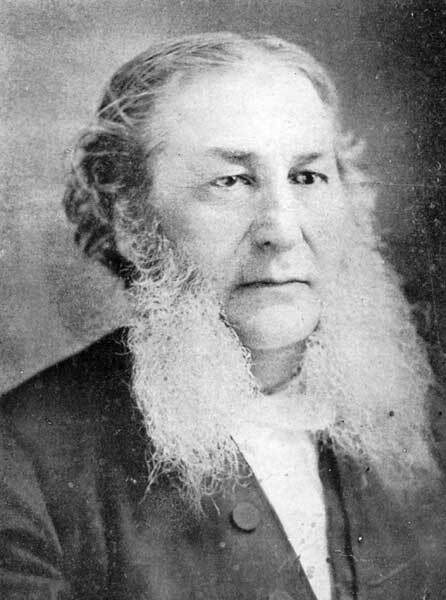 Born near Fort Erie, Upper Canada, on February 13, 1820, son of Samuel Wood, he was educated at Oberlin College, Ohio (BA, 1848) and was called to the Upper Canada Bar in 1854 (QC 1872) and to the Manitoba Bar in 1874. He lost an arm in a shooting accident on the farm. He was industrious, highly talented, and very abrasive as a lawyer. Throughout his career he mixed railroad promotion, politics, and the law. He was the first Clerk of the County Court and Clerk of the Crown when South Brant County was formed in 1853. He was nominated by the Liberals to contest South Brant in the 1863 general election, and held the seat in the Legislature of Canada West until 1867. From 1867 until his resignation in 1873 he represented South Brant in the Legislative Assembly of Ontario, and served as Provincial Treasurer from 1867 to 1871. He was much criticized for his desertion of John Sandfield Macdonald in the crisis that precipitated the fall of the Macdonald government in 1871. He was elected to the House of Commons for South Brant in 1867 but did not contest the seat in 1872. He was re-elected to the House of Commons for Durham West in the bye-election of 10 April 1873, and in the general election of 1874. In the House of Commons he was familiar as “Big Thunder,” his booming voice frequently attacking the Tories. Wood resigned his legislative seat on 11 March 1874, when he was appointed Chief Justice of the Manitoba Court of Queen’s Bench by Prime Minister Alexander Mackenzie, a position he held until his death. His tenure of office was colourful and controversial and he is sometimes spoken of as the father of the judicial system in Manitoba. He presided over many important cases, the most notable being the trial of Ambrose Lépine for the murder of Thomas Scott. That performance demonstrated his style, which was assertive and unquestioning in its support for English law and British values. But he also tended to shoot from the hip, and he became embroiled with John Schultz to the detriment of any reputation for impartiality he might once have enjoyed. A man of liberal instincts, Wood made a famous summation after presiding over the case of Kieva Barsky, one of a large group of Jewish refugees who had settled in Winnipeg in 1881 and 1882 after fleeing persecution in Russia. Barsky had been the victim of a vicious anti-Semitic attack while working on the Canadian Pacific Railway, narrowly escaping death when a certain Charles Wicks attacked him with an iron bar. Wood spoke of the contribution of the Jewish people to human history and said that it “...was wholly out of keeping with Canadian justice and surely not in keeping with the asylum that should be offered to persecuted Jewry” that this sort of act should be tolerated. In later years, paralyzed by strokes and heavy drinking, he died on the bench one step ahead of his removal. In April 1855, he married Jane Augusta Marter (?-1925) of Brantford, Ontario. They had at least one son, Edmund Marter Wood. One of the founders of the Manitoba Historical Society, he served as the Society’s first President, from 1879 to 1881. He died at Winnipeg on 7 October 1882 and was buried in the St. John’s Cathedral Cemetery. He is commemorated by Wood Street in Winnipeg. His papers are at the Archives of Manitoba. Edmund Burke Wood, Dictionary of Canadian Biography XI, 934-35. “Death of Chief Justice Wood,” Manitoba Free Press, 9 October 1882, page 4. 1. Rabbi Arthur Chiel, Jewish Experiences in Early Manitoba, Manitoba Jewish Publications, Winnipeg, 1955, p. 17.